While some agencies charge thousands of dollars, some go so far as to claim to SEO your site for free.SEO requirements for every website are unique to the site. 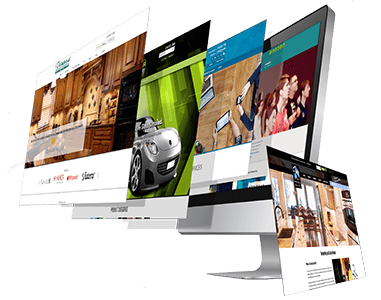 They need research, a understanding of the business and needs and optimization that is specific and custom designed for the site. In order to get a client’s site to rank high in search results, many organizations resort to unethical techniques called “Black Hat” techniques. Websites seen to have used Black Hat techniques are black-listed by search engines. This is a technique where content presented to search engine spiders is different from the content presented to the browser of a visitor to the site. This happens when the web page is loaded with keywords, either in the content or in the code. This is a series of methods that are used to manipulate the relevance of content indexed by search engines from your website. Many organizations put keywords in the same color as the page’s background., but is picked up by search engine spiders. Putting invisible links in order to increase link popularity. This involves the creation of low quality pages that contain very little content. Instead, these pages are stuffed with keywords and their variations. These are sites designed to generate revenues through advertising. Since these lure visitors looking for relevant content and offer nothing in return, search engines look for and give low ranks to these sites. This is a spammer’s technique whereby a number of domain names are created with exactly the same content. In blog spamming, solicited links are blatantly placed in blogs in order to generate back links to websites. As a result, search engine crawlers are deceived into giving poor ranks to the competitor’s site. Many SEO companies offer tools that will automatically make your site SEO compliant. This doesn’t work, simply because tools do not know your business. Ask for the process that will be followed. Check if the cost quoted justifies a sustainable business model considering the SEO process that is being committed to by the service provider. If not, there is a good chance of corners being cut. Despite the best understanding of search engine algorithms.Any organization that commits to get you on the top spot different from committing to improve your rankings is either deceiving you or desperate for your business. Nice response in return of this issue with genuine arguments and explaining everything concerning that.